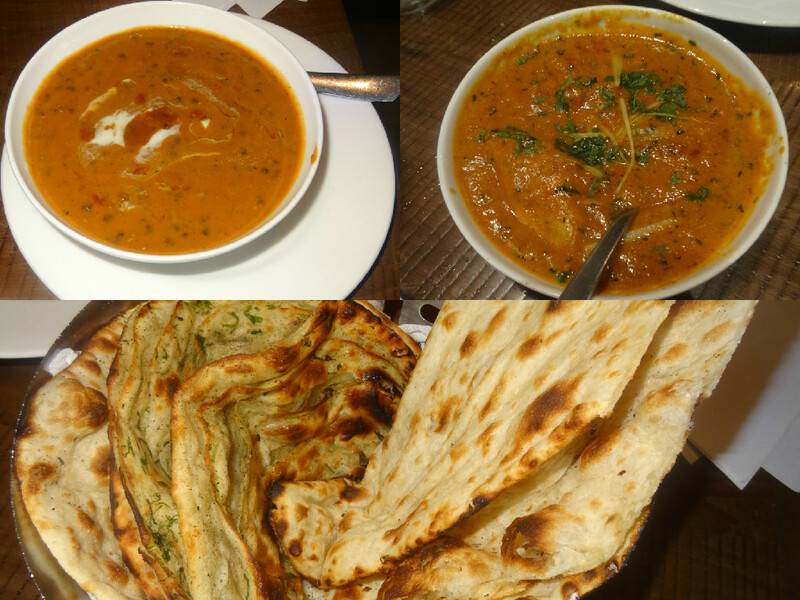 This was my first visit to the Global Food Factory where I met Mr. Diwaker, the extremely polite gentleman who greeted us at the Istanbul, Lahore (Pakistan) & Thailand cuisine inspired restaurant, Global Food Factory which opened in Oct 2014 amidst the bizarre crowds & restaurants of Rajouri Garden market. The interiors are beautifully done with the walls of concrete & bricks adding to the charm. There is lots of warm & amber tone lighting. There are fun slogans on the walls which made it all the more interesting. There are chairs in newspaper printing, some red seats & white with lots of upbeat Hindi Punjabi & English music beats doing the house. I could only sit & admire the place as it was very nicely done with shelves in one corner (the front entrance facing wall), lots of colourful bottles & books and the beautiful & big bar counter where the mocktails & cocktails were being churned out with lots of new flavours & tastes. 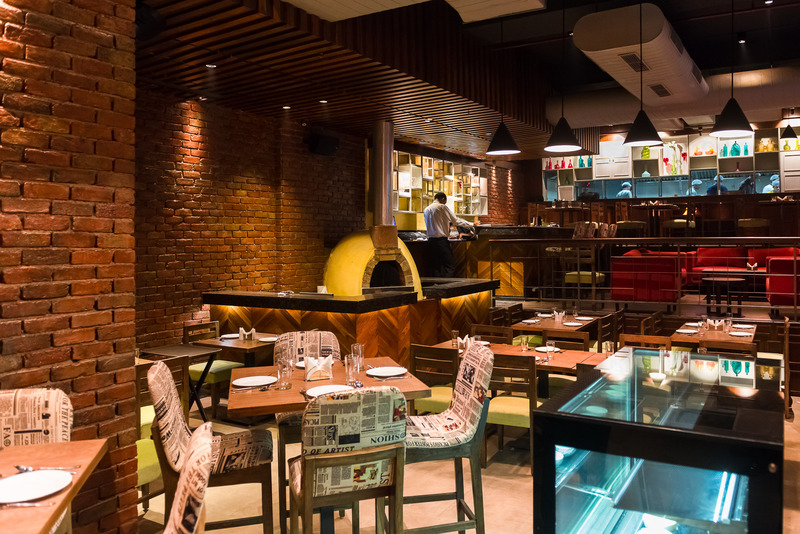 The restaurant also has a wood fire pizza oven in one corner which makes excellent pizzas. They have a very diverse menu that has room for all people of all age groups and all taste preferences. To start with, we ordered a Kaffir Lime Iced Tea. The presentation was good & it was lovely to taste with fresh leaves in it. It was basically iced tea blended with Kaffir lime which was surprisingly lovely to sip & taste. The next drink was Melon Magic which had watermelon & mint toppled with lemonade which was very cool & refreshing. 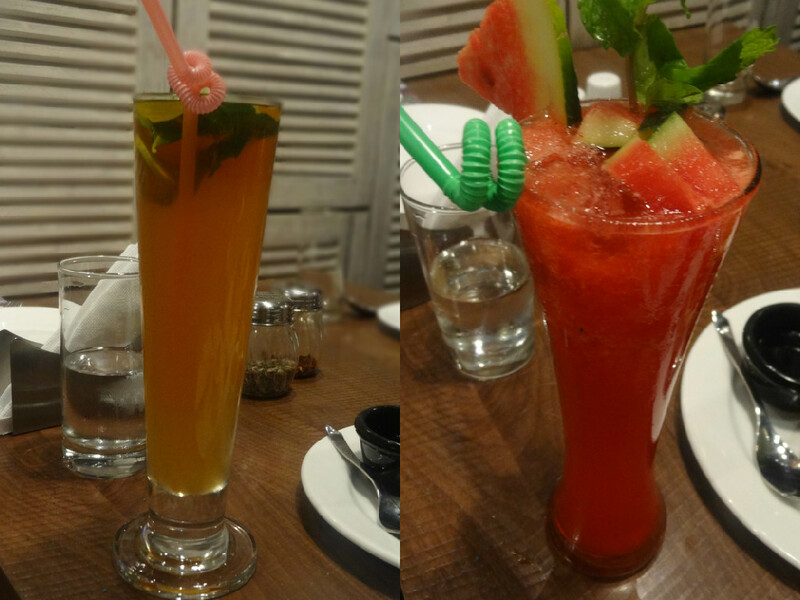 It was a summer chiller with watermelon pieces in it & I felt lovely after drinking the icy cool drink. 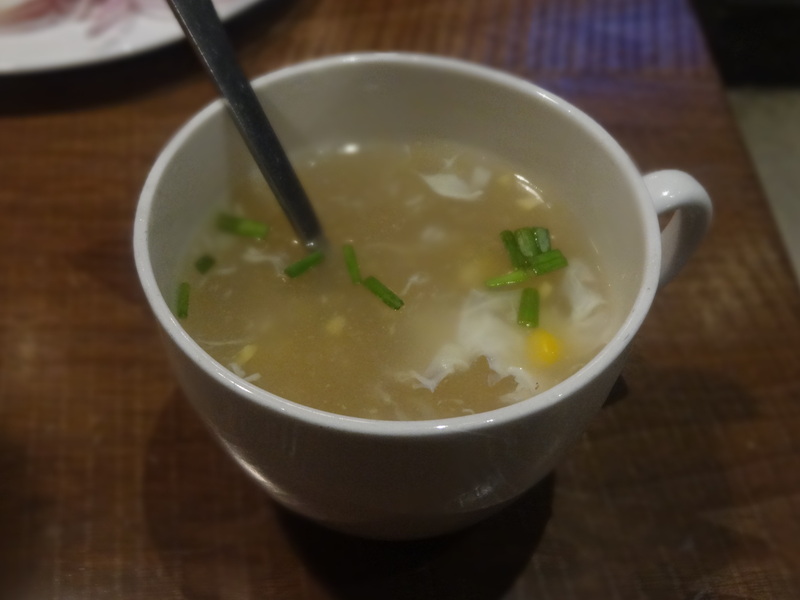 We ordered Chicken Sweet Corn Chicken Soup which was not very spicy & had warm sweet thick consistency with finely chopped chicken & corn. It also had a nice taste of French beans along with sweet corn. A very flavourful soup! Then we ordered the Turkish Style Chicken. It was a pan fried boneless chicken made in Turkish style. The chutney served along had more of mint content & was absolutely delicious. The chicken was juicy with all the seasonings put together in a less spicy manner. 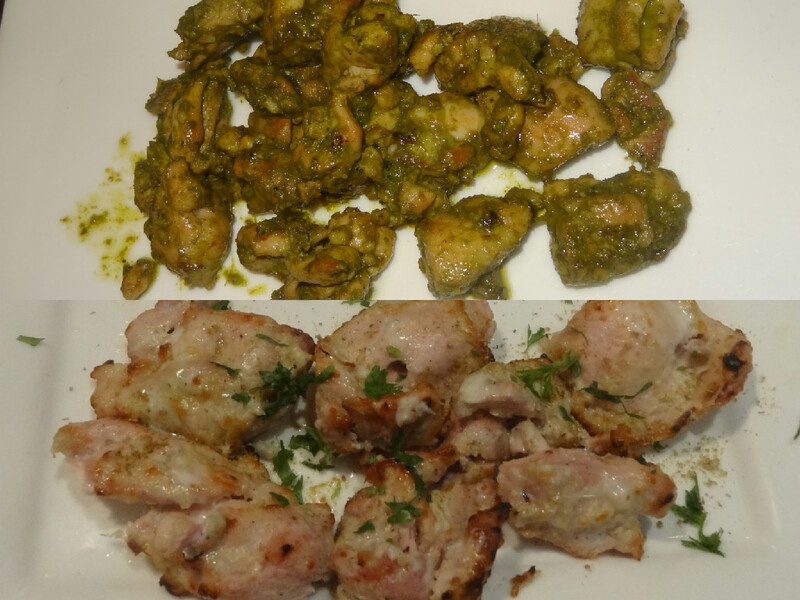 The Malai Tikka was fleshy & had a mild flavour. It was very soft, mushy & hot. It tasted lovely as it was very well cooked & marinated in mild spices. The Veg. 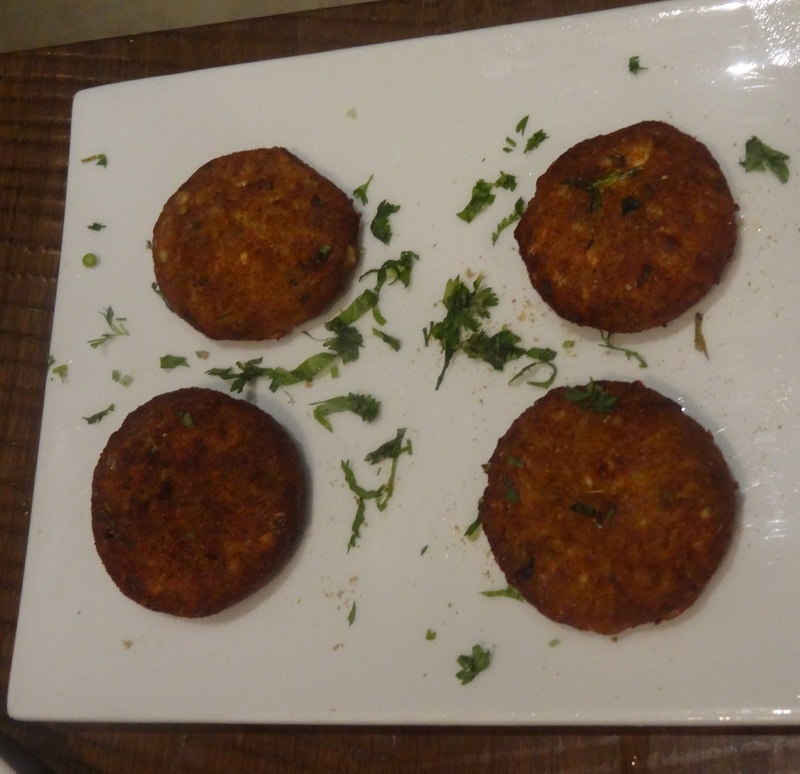 Lahori Kebab were deep fried kebabs made with curd, soybeans & vegetables. They were very tasty & done nicely with the curd nicely blended with soybeans. The taste was fab & undoubtedly was my favourite starter here as they were just so soft with delicate spices melting in the mouth. 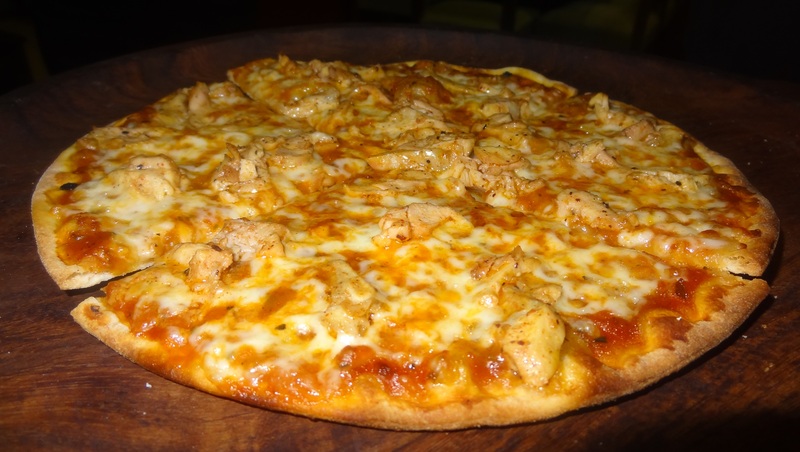 Next on the table was the Turkish Chicken Pizza. It was a mildly spiced wood fired chicken pizza with less spices. It’s a hot seller here specially in winters. 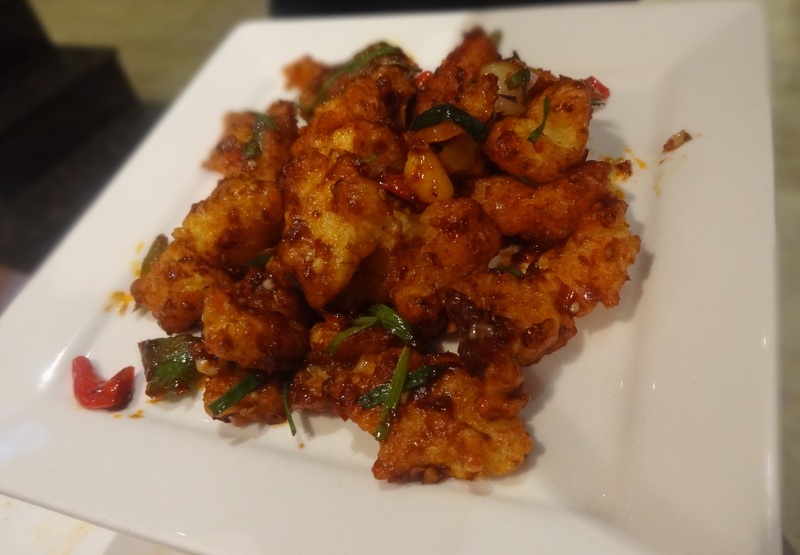 The Basil Chilli Thai Fish was fresh, tender, crispy & soft and lovely minced with spices. It had chillies, salt, seasonings, pepper, chilli paste & soya served served with lots of onions, basil & bell peppers. The taste was out of the world. The fish used is Basa Fish here & I highly recommend it to all the fish lovers. Then came the Jamaican Jerk Chicken– a roasted hot & smoky chicken cooked in Jerk style with brown sauce & served with rice. The recipe also had bell peppers, broccoli, zucchini & carrot in it with lots of Jamaican spices. It was perfectly cooked & had a nice taste. The rice was cooked perfectly too. 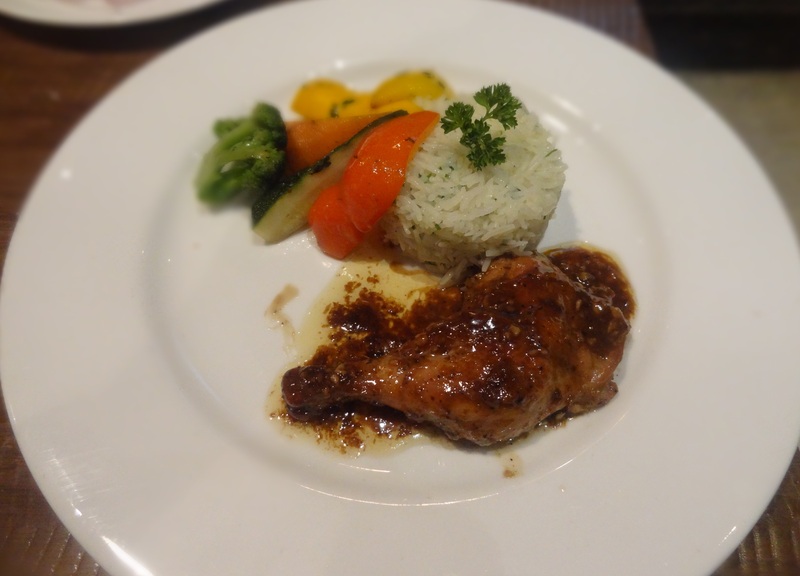 The chicken was so soft & tender cooked in the lovely sauces. A must try! This dish is the most favoured here. So next time anybody who comes here should not leave the restaurant without tasting this recipe. The Dal Makhani had a creamy & buttery taste. I found it a little salty & I would say I have had better Dal Makhani at other places. Next, we ordered the Chef’s Special Awadhi Dum ka Murgh. The chicken was fleshy & hot with fresh thick gravy with fenugreek in it. I loved it! The breads we tasted with the main course meal were Plain Roti, Pudina Parantha & Butter Naan. All of them were soft & nice. For the desserts, I had the Spanish Churros with chocolate dips. 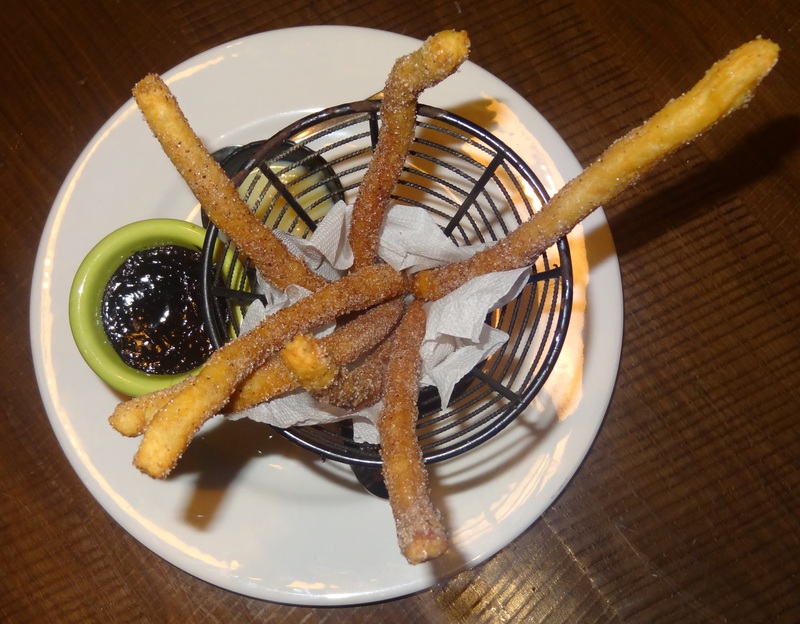 The churros were made of flour, eggs & breakfast sugar & served with a dark & white chocolate dip. The churros were also coated with cinnamon and had a good & tempting taste. 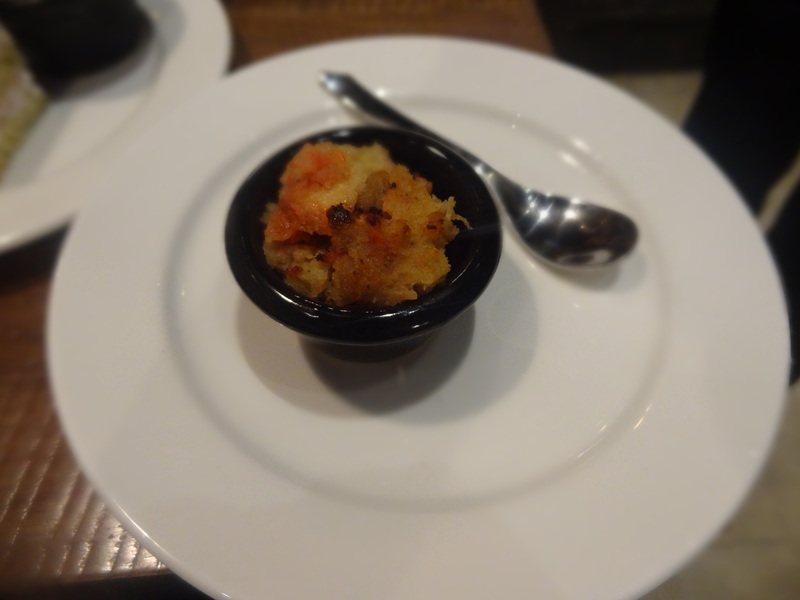 The Bread & Butter pudding had fruity flavours along with a cinnamon taste. It was an okay dessert for me, not recommended. The Mocha Brulee had a nice, mushy & creamy flavour of coffee. 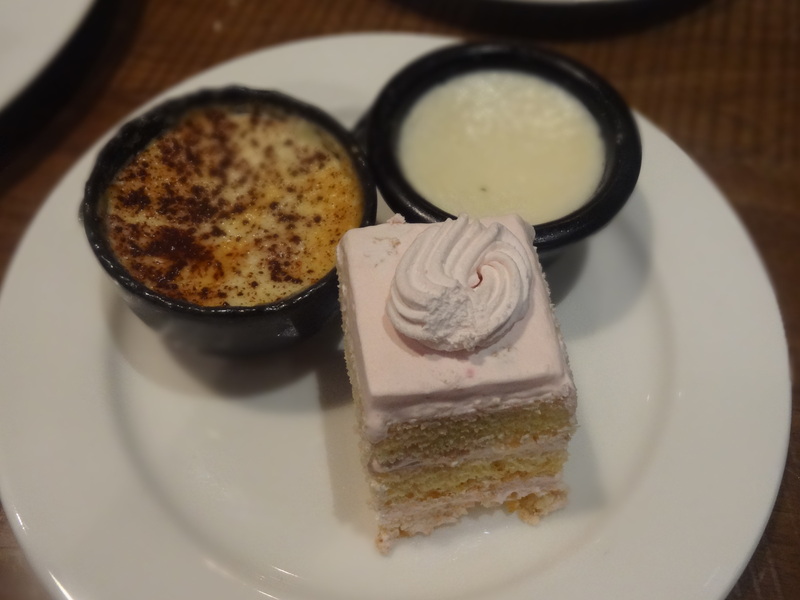 I loved the Coconut Caramel Custard. The Strawberry Pastry was good, tasty, soft & fluffy. Strawberry lovers will surely love it! They deliver customer satisfaction by delivering their lovely food upto 8 kms with no minimum order restrictions. Mr. Diwaker is an extremely polite personality mixed with intelligence, IQ level & a man of words, thoughts & knowledge which you can only grasp & learn and go home with a smile on your face remembering the music & the lovely dishes. So anybody who would love to have a nice time should come here. Excellent service, hospitality, staff whether it was Mr. Gundeep Singh who took extra care to explain everything on the menu, all the efforts, the warmness, the love that comes from within. One should seriously appreciate what goes in the making of a good restaurant & one good example is Global Food Factory.